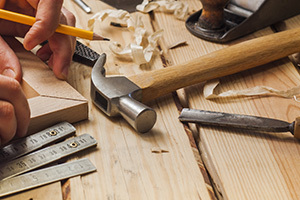 ANDERS SPECIALTY HARDWOOD FLOORS HARDWOOD FLOOR INSTALLATION SPECIALISTS HARDWOOD FLOOR REPAIR EXPERTS 20+ YEARS EXPERIENCE IN THE TREASURE VALLEY! Anders Specialty Hardwood Floors is proud to serve the hardwood flooring needs of Boise, ID, homeowners and businesses. We specialize in every type of hardwood floor, from elegant oaks and alders to exotic bamboos and teaks. 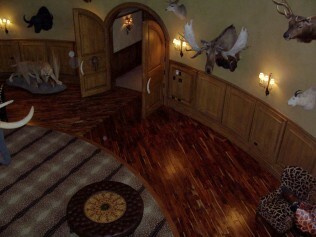 We are experts at custom hand distressing hardwood floors. A unique process done by hand (with the help of a few tools!) to give your floors an aged look at a very affordable price. Anders Specialty Hardwood Floors of Boise, Idaho, has been designing custom hardwood floors since 1994. Our expert hardwood floor designers have over 20 years of hardwood flooring experience. We create create beautiful and unique designs for residential and commercial customers. We have referral plans for custom home builders and interior designers who build and create in the Boise area and throughout the Treasure Valley. 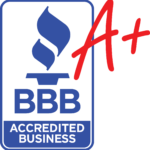 You probably know how important an A+ Rating is from the Better Business Bureau. We worked hard over 20 years to earn and to keep our A+ Rating. Read our testimonials, consider our A+ Rating and when you need hardwood floor installation, refinishing or sanding, we're the company to call. Our team will provide the flooring quality you expect in a timely manner at an affordable price.